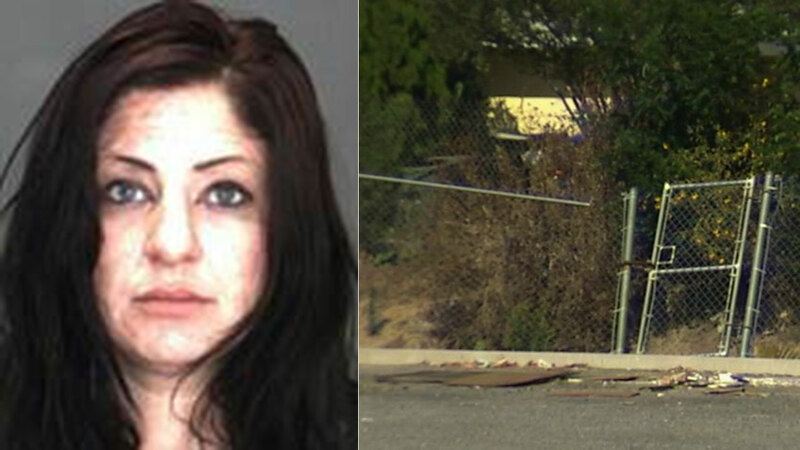 Authorities say the body of Marlene Santellan, 34, of San Bernardino was found in a parking lot next to a box that appeared to be a makeshift coffin. SAN BERNARDINO, Calif. -- A homicide investigation was underway in San Bernardino after a woman's body was found in a parking lot wrapped in a tarp alongside what appeared to be a makeshift coffin. Officials say the body of Marlene Santellan, 34, of San Bernardino was found on the ground wrapped in a blue tarp, next to a plywood box that was leaning up against a chain-link fence. Authorities said the box appeared to be a makeshift coffin. Family and friends say Santellan was the mother of three girls, the youngest just two months old. Her family had reported her missing 11 days ago. Her body was found in a lot near Pumalo Street and Del Rosa Avenue Sunday around 8 a.m. It was unclear how long her body had been there. Her cause of death was under investigation. Police said the death was being investigated as suspicious, but did not provide further details. Anyone with information is asked to call Detective Cunningham at (909)384-5745 or Sergeant Kokesh at (909) 384-5613.